The Ship Hotel has nine beautifully appointed, en-suite rooms. Featuring beautiful linens, unique decoration and arguably the finest sleep experience on the Norfolk coast. Take a look at the rooms and the features of each below. Comprised of the Thornham and the Brancaster rooms, this suite is perfect for a family of four or five. Comprised of the North Creake and the South Creake rooms, this suite is perfect for up to four people. Featuring two double beds and two en-suite bathrooms, the suite is perfect for friends or family looking for a getaway on the Norfolk coast. A classic bedroom featuring a king-size bed, an over-bath power shower and plenty of light from it’s front facing perspective. A front-facing first floor room featuring a zip-up King Size bed. Perfect for Double or Twin stays. The en-suite features a walk in shower. This first-floor deluxe room features a king-size bed, a power shower over the bath in the en-suite bathroom and design touches to make your stay perfect. Featuring a beautiful antique bed, this rear facing room offers comfort for your stay in Brancaster. Also features a skylight making the room feel light and airy. The super king-size zip up bed and skylight makes this one of our most luxurious rooms. Beautifully appointed and perfect for double or twin stays. This second floor attic room has an en-suite bathroom including bath. It’s front facing bringing an abundance of sunlight into the space. This room also features a king size bed, beautiful beams and vaulted ceilings. A stylish room on the second floor. 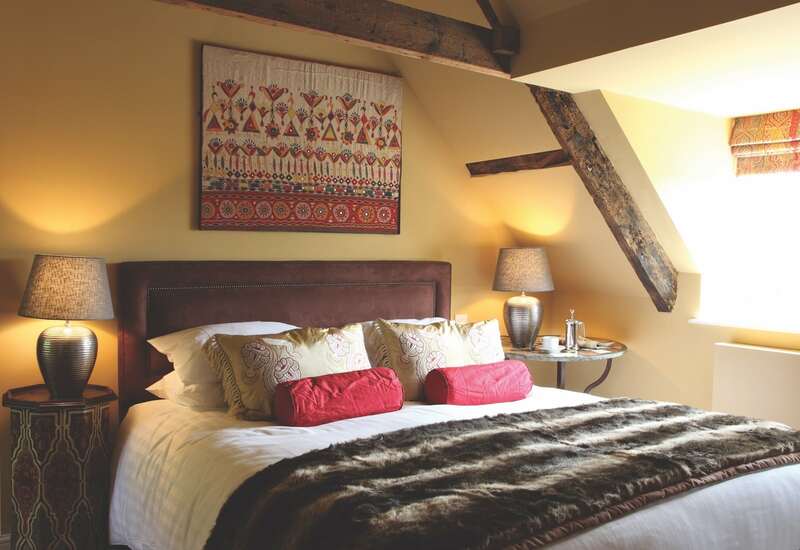 Side facing with a power shower over the bath, exposed beams, a double bed and oodles of charm. This is one our most luxurious rooms. Very spacious and located on the second floor. This room features a king-size bed, a bath and separate shower cubicle as well as a sofa bed, TV & DVD player.